With the influx of compliance, e-discovery and retention policies, many organizations are desperately seeking to stifle their RIM (Records & Information Management) woes. More often than not, organizations try to fix information management problems at the end of the life cycle without understanding the beginning of the records creation process. Implementing a RIM audit program will help provide solutions that will alleviate record keeping issues at the end of the life cycle. Whether you conduct a RIM inventory/audit yourself or hire an outside resource, the following is a minimum starting place for development of a sound RIM audit program. What Documents Are Being Created? Identify file/document types within each department that are being created. Often times you will find they are not necessarily in line with your retention schedule; something you don’t want to find out in a litigation scenario. How Are Records Being Created? How are these records being created and indexed? Are electronic documents printed and filed? Understanding how records are created plays a significant role in solving the mystery of how to manage the information and develop a consistent process that takes the guesswork away from the end user and defines the life cycle of the record. Doing it right in the beginning of the life cycle allows technology solutions to take care of it at the end. Where Are Documents Being Stored? Where are the documents being stored? Are there duplicate copies unaccounted for? Lack of confidence in corporate record policies and process drives us to create multiple copies of documents so that we always have access. The problem is that when it’s time to apply retention schedules, how do we ensure that we have included the plethora of rogue copies? Understanding where these documents are, and implementing a process for the creation and retrieval of them, along with good training, will help alleviate this issue. When Does a Record Become a Record? Too often, documents are neither indexed nor classified until the middle or end of the life cycle. They live in a limbo state often referred to as “working documents”. Documenting and understanding when your end users create records will help define your record policy and ensure that the organizations intellectual property is identified and secured. 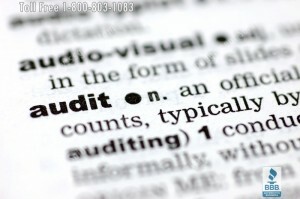 Undoubtedly the most important question to consider when conducting the audit is “why”! “Why do you do it this way?” And the most common answer is….”Because we’ve always done it that way!” Understanding “why” is the first step in improving your records management program and changing the culture of your organization. Conducting a RIM Audit will provide upper management the information they need to make better enterprise wide decisions for your business. 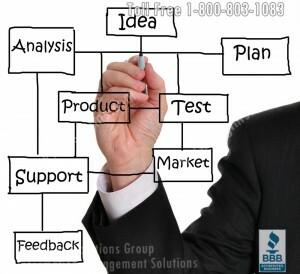 For more information about how Southwest Solutions Group can help you through the maze of Records and Information Management, call 1-800-803-1083 or click here to contact us. Document imaging can be a powerful tool but is only a small piece of a records information management (RIM) system. Using document imaging solely for the purpose of solving problems is not practical. The most efficient and logical use of document imaging is for documents that have a high retrieval rate by multiple users, especially in remote areas. Making sure your application is right for document imaging is the first step in the process. What documents do you want to image? How many people access these documents? 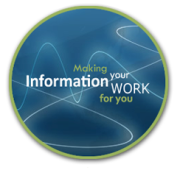 What do you see as the benefits of having these documents available electronically? More often than not, if the answers to the first three questions are sufficient, determine if further investigation is sensible. However, the fourth question is vital in in starting to address the return on investment question that will undoubtedly come next. If having certain documents available electronically aids in the level of customer service, then you could well be on your way to implementing an imaging system. If, however, many of the benefits include issues such as “no more lost or mis-filed items”, then you are probably attempting to drink soup with a fork! When used specifically to address issues of retrieval and multiple accesses, document imaging is a solid solution. 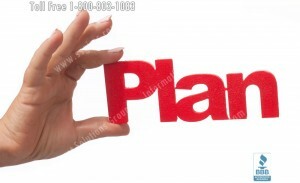 There are also times when certain documents are included in the imaging process as a convenience to upper management. This can be a valid solution for VP’s who have a heavy travel schedule and the need for vital documents on a regular basis. It also provides security for original vital documents without sacrificing access to the information these documents contain. If you do move forward with an imaging system, keeping the index system concise and as limited as possible keeps the system user friendly and cost efficient. Scanning documents is easy and scanners are relatively inexpensive. The question is will anyone ever be able to find the document after it has been scanned? Also, remember that you must put your files in order before you scan. 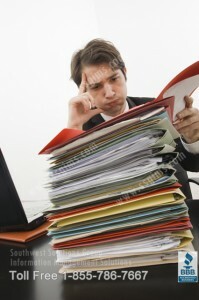 An inefficient paper based filing system will translate into a messier electronic document system! As for keeping the originals, that depends on what is scanned. If only certain documents are scanned from a file and miscellaneous correspondence or other documentation must be kept, then you might as well keep the scanned original. What is more important is that both the paper and the image is part of a comprehensive retention schedule. 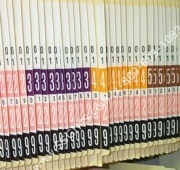 For more information on document imaging and retention scheduling, call us toll free at 1-800-803-1083 or visit www.ssgims.com!